Funny "Pizza Millennium Falcon" star wars inspired Card - Perfect for a star wars fan on his Birthday or Father's day. 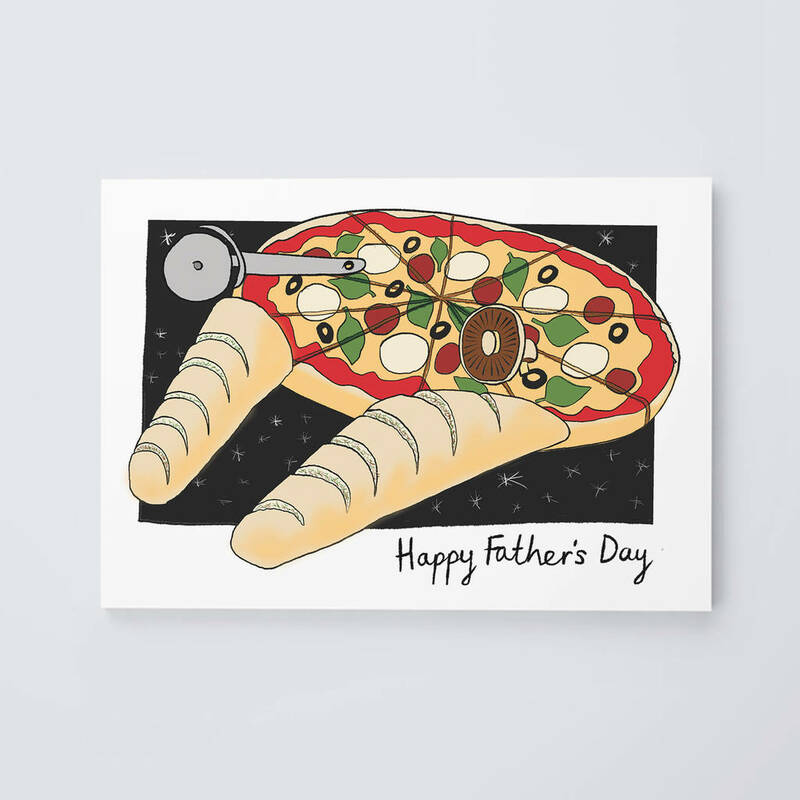 Our playful take on the Millennium Falcon is sure to make any star wars fan (and pizza lover) smile. 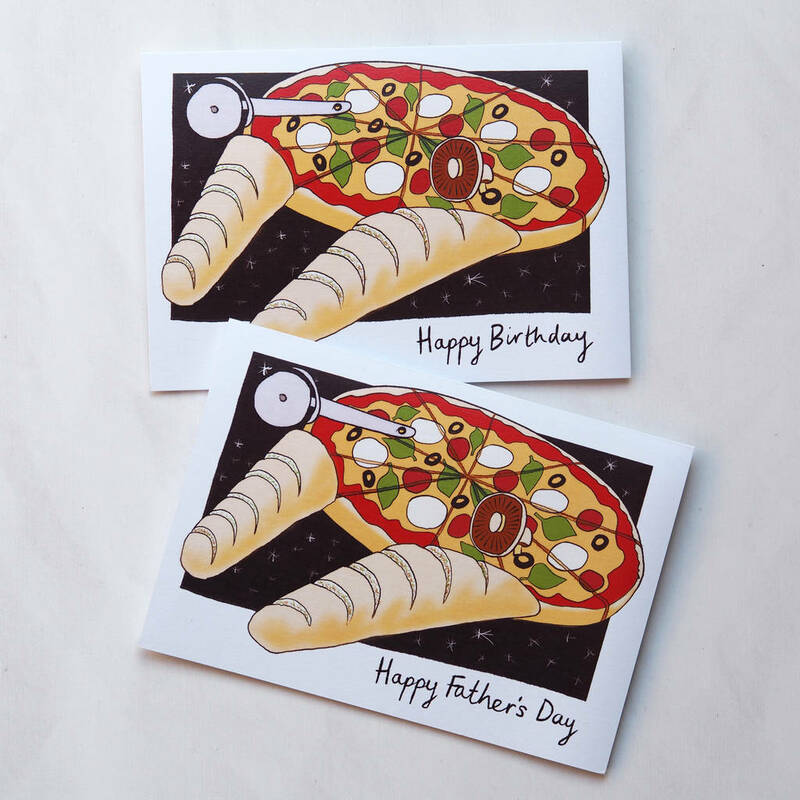 If your Dad likes a slice of Star Wars action, this could be the card for him! 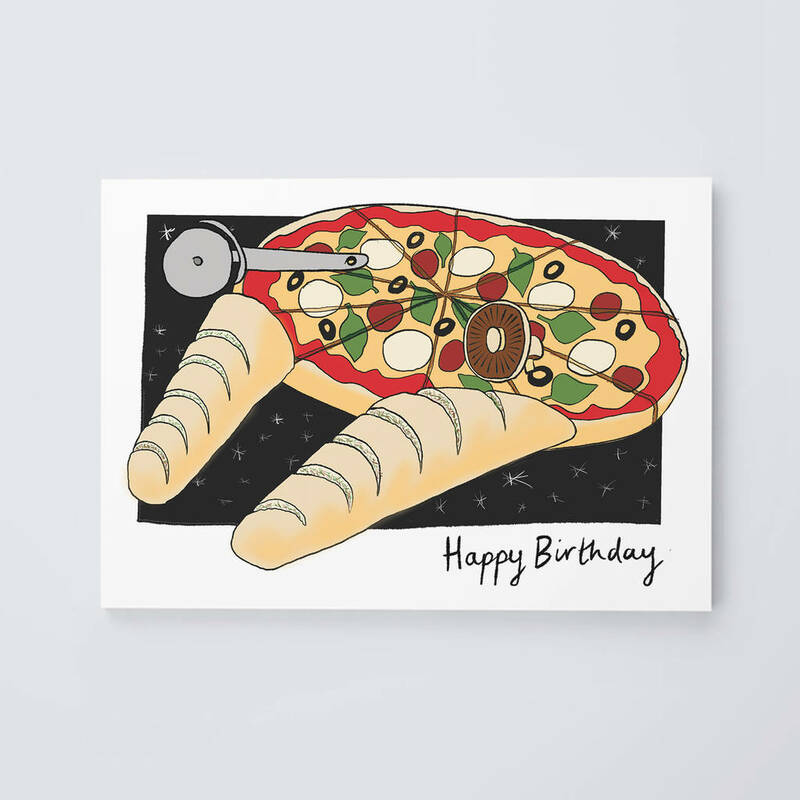 Featuring a tasty pizza hub and garlic bread engines, the Millennium Falcon has never looked so tasty. Perfect for your favourite Star Wars fan on their birthday or on special occasions like Father's day. Choose "Happy Birthday" or "Happy Father's Day" from the drop down list for the text inside.